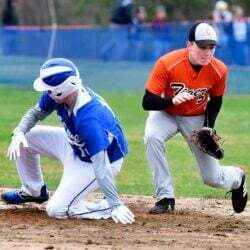 Teams struggle to find opportunities in crossover game. 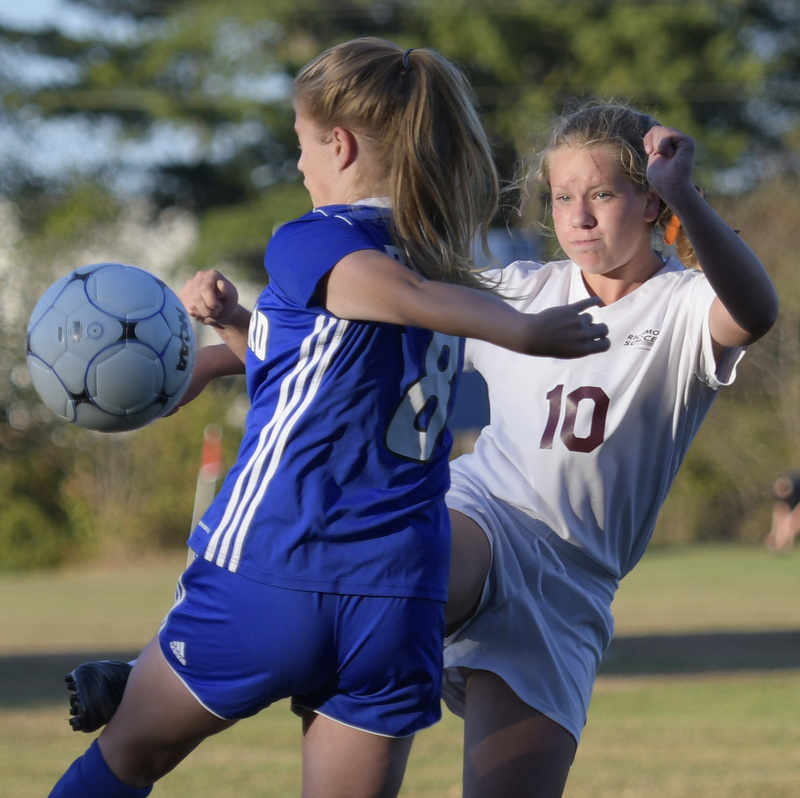 RICHMOND — Monday afternoon was another exercise it what has become an oddly frustrating season for the Richmond girls soccer team. Despite entering the week as the No. 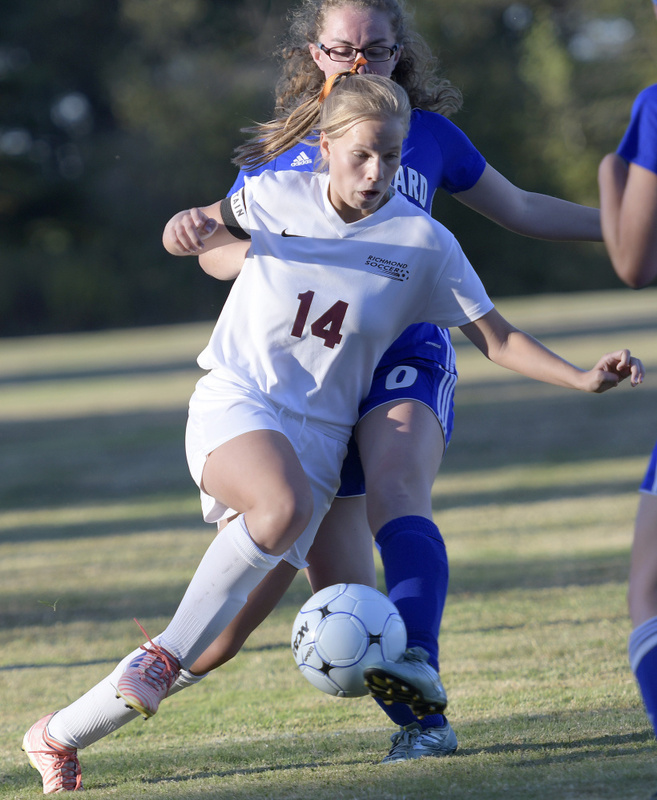 2 team in Class D South, the Bobcats are still, surprisingly, trying to find an identity. 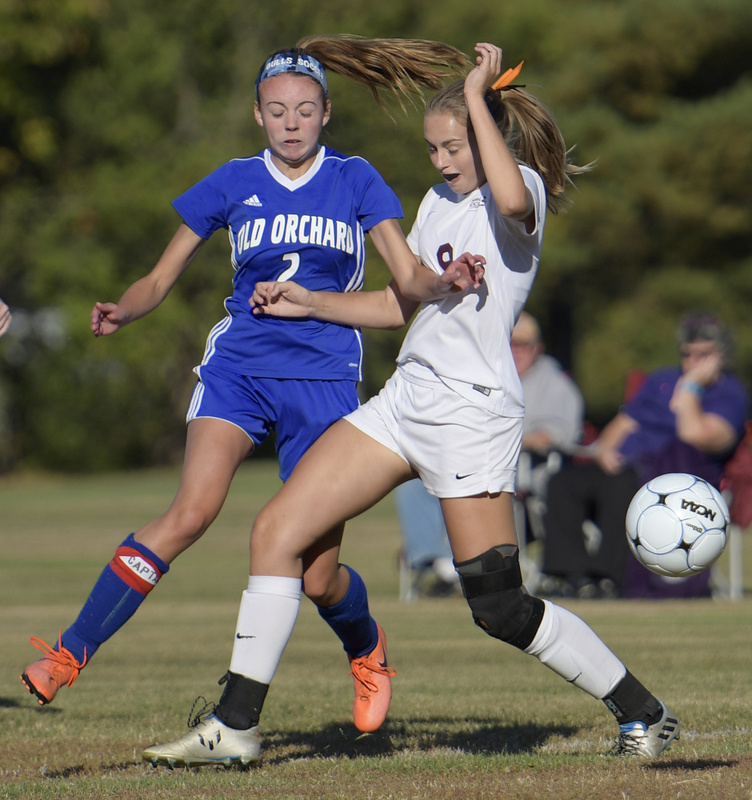 A 0-0 draw with Class C foe Old Orchard Beach, in which the Bobcats carried the play for the entirety of the 90 minutes, might have been the right step forward for Richmond. First, the good: Richmond (5-3-2) was able to put its collective footprint on the match from the outset, the Bobcats held Old Orchard (5-2-2) to just one shot on target (which came well before halftime), and the hosts had the best chances to finally produce what would have been a winning goal either in the final five minutes of regulation or in extra time. Which brings the Bobcats to the bad. Richmond took 17 shots but managed to put just four of those on frame. Junior midfieder Caitlin Kendrick had a good crack at goal in the 72nd minute that was stopped by Old Orchard goalkeeper Kaitln Cote (four saves), and in the 78th minute Kendrick beat her defender off the dribble to the left side of the box and floated a bid to the far post that neither Emily Snowden or Bry Shea could get on the end of. Off to the extra session, with the only scoring chance for either side coming in the 85th minute. 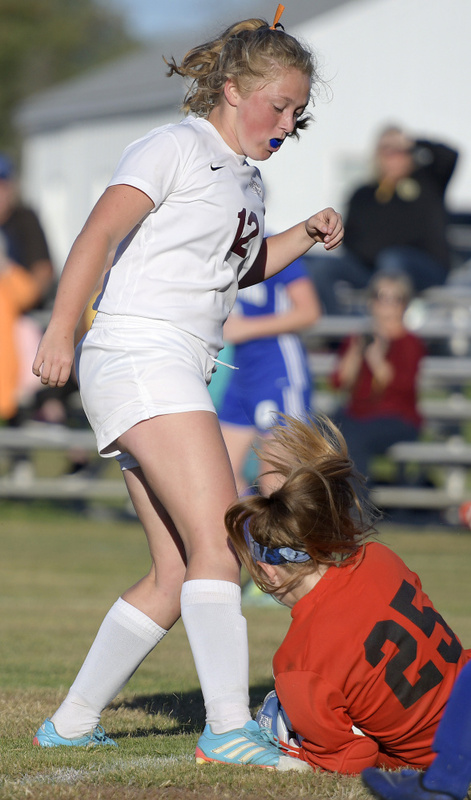 Kendrick again was in the middle of it, quite literally battling her way through three different Seagulls, beating the goalkeeper to the end line and centering for sophomore Abby Johnson at the back bar. Johnson couldn’t get a touch. 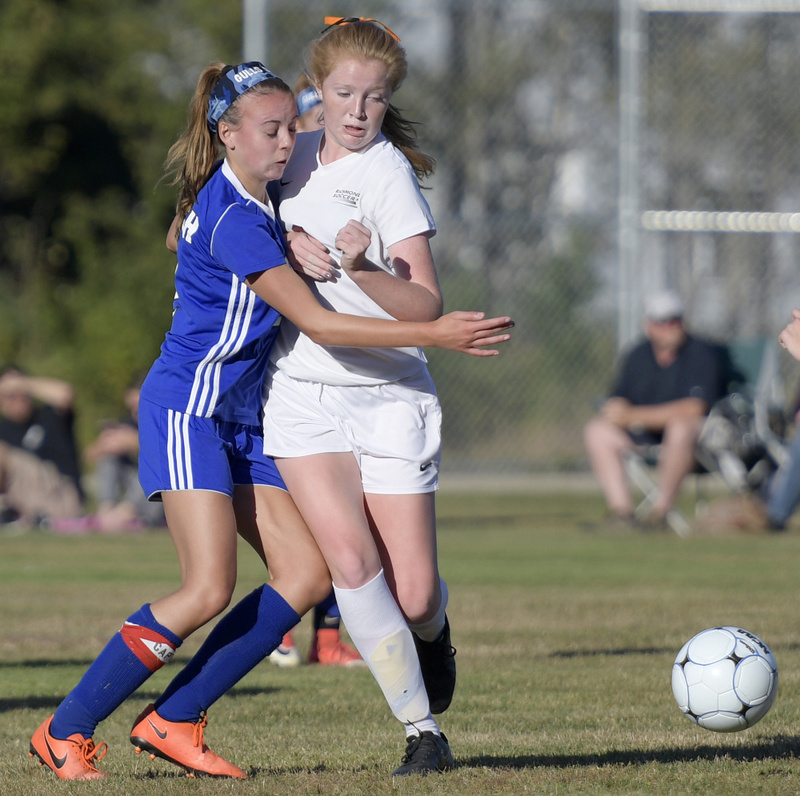 Not long after Payje Leclerc’s corner kick for Old Orchard dropped neatly in the six-yard box and was cleared off the goal line by Richmond’s Marybeth Sloat in the 69th minute, Seagulls head coach Heath Floyd began to adjust his expectations. By the end of the second half, both teams were employing as many as six players behind the ball. Richmond was in a 5-3-2 formation throughout, while Old Orchard dropped out of its traditional 4-4-2 to try and see out the draw. For the Bobcats, the tie wasn’t the worst result in the world. The Heal point reward for the draw should be significant.